Having trouble playing the video or prefer a good read? Don’t worry we have transcribed the video, and added headlines for easy navigation. We asked a panel of winemakers to discuss the value of routine analysis of wine with FTIR. You can read the transcript below. What do you use the WineScan SO2 for? Carlo Pagotto: WineScan SO2 has been used to check sulphites, especially sulphites because they are allergenic, so the requirement to measure sulphites has got to be increasingly precise and their quantities have to be reduced. As the checks can be done more quickly, quantities can be reduced. Prosecco is a type of wine. The grape variety is Glera and the DOCG is Prosecco. It is a very delicate variety, very distinctive. For example, something that is important in this company is to select all the grapes by hand. WineScan is mainly used to produce an immediate analysis of this fairly delicate must which will all be converted to sparkling wine. It is a delicate product which must always be kept cold, hence the importance of using very accurate analytical tools in order to check its delicate nature, and so that we can preserve these fruity aromas, or fruity perfumes, the smell of mature fruit, or fresh fruit, perfumes of glycine, in various different regions. Using the machine for this as well in the Prosecco area has also enabled us to take a step forward with regard to the intrinsic quality of the sparkling wine. Can you combine high tech analysis with traditional natural winemaking? Peter Sisseck: Our philosophy from the start was to try to develop the wine within the natural conditions that would allow the wine to express itself in a more natural way, but obviously with the highest levels of control. The idea, the image I had in my head then was something like an old wine cellar using all the old methods, old practices, but with a nuclear laboratory behind it all in order to truly understand all the processes. This is why it has always been very important for the philosophy of the wine cellar to try to use the very natural methods, but with a very high level of control or understanding of what is going on. It is like a basic school for everyone working here, so that we understand our area much better, our grapes, our surroundings and our wine. To always try to do it better in the future, and more consistently. It is not only that it is better, but also more consistent and always based on the philosophy that we do not want to do much. We always have to do as little as possible. What is your experience with the WineScan? Angel Calleja: Welcome to the cooperative cellar, Agricola Castellana. It's called Cuatro Rayas. The cooperative is the eldest in Castilla y Leon. Our device, the FOSS is good. It's an analyzer that has been very useful because we're working on a project where we want to establish a system of payment for grape quality and we also want to see connections between the PH, acidity, the potassium levels. We're working on it to be able to pay fairly for the grape, for its quality. As it is always from the same variety, and from very similar terrain with the normal analysis of total acidity, alcoholic grade and PH, there are no huge variations. We have to look for some other components that will make the difference, and that is why we use the FOSS. Once we got the device, we have also found it useful for the daily analysis, because as I've mentioned, we bottle many millions of bottles, so primarily, it saves us time and offers a greater volume of analyses. 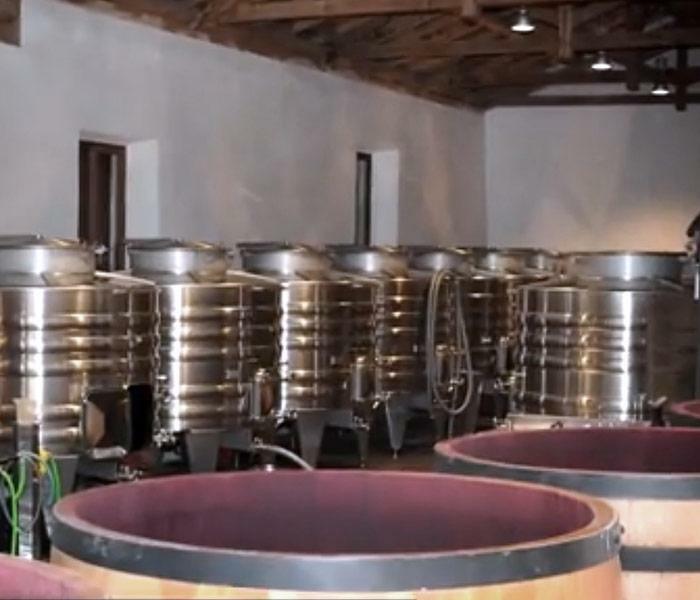 This allows us to have more exhaustive, constant and rigorous control of the wine that we produce.